So if you haven’t noticed on the news, in the newspaper, or on the internet, mortgage rates are on an upward trend. Rates over the past few weeks have gone up from the historic lows that we have been accustomed to, 3 out of the past 4 weeks they’ve gone up to be exact. Don’t get me wrong, these rates are still low, but they may not be as low as they were a few months ago or late last year. The higher rates in all reality are going to impact the refinance business more than anything, because people who were on the fence about refinancing may be turned off from the rates going up and opt to stay with their current mortgage. Home buyers will still be in the market looking to grab their dream house, vacation house, and/or investment properties because in all reality these rates are still impressive and home affordability is the best it has ever been in years because of interest rates. 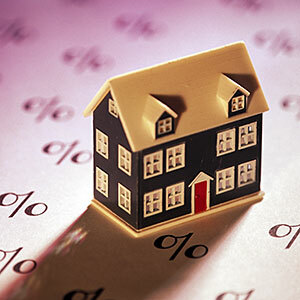 USA Today spoke with the Freddie Mac’s Chief Economist, Frank Nothaft, and he believes the lowest rates are now behind us. Bottom line: If you have been considering purchasing a home, talk to a lender, get pre-approved and start the home search. Prolonging this crucial step could essentially cost you and your family more money in the long run. If you are a current homeowner thinking of refinancing, call a lender and discuss some of the goals that you are looking to achieve and have them put some options together for you, the longer you wait on this step, the higher rates can potentially get and could crush any benefit that you could have taken advantage of by refinancing. I’ve included a link below that shows the connection between rates and the 10-year tresury bond. Thanks for viewing, please leave your comments below and as always contact me with any other questions or feedback, it’s greatly appreciated!